PLEASE USE DROP DOWN MENU TO SELECT YOUR LENGTH. Our silicone free professional hose pipes allow you to reach those hard to access places with comfort and ease. Its 13mm (1/2") diameter has brilliant abrasion and are kink resistant. They are premium quality and the inner polyester reinforcement gives it that extra durability and protection. This hose pipe is compatible with all standard fittings so you can simply replace your old hose pipe and refit all your excisting accessories, - spray nozzles, spray guns, sprinklers, tap fittings ect. Reach those hard to water plants in your garden with ease and make light work of washing windows, garden paths, patio slabs, cars and more! 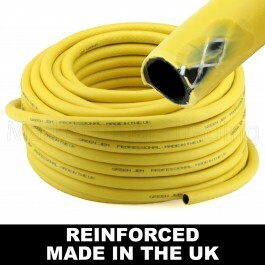 Excellent value professional hose pipe.Works with hozelock and compatible with other leading brands of hose connectors. You can run hot water through these no problem. 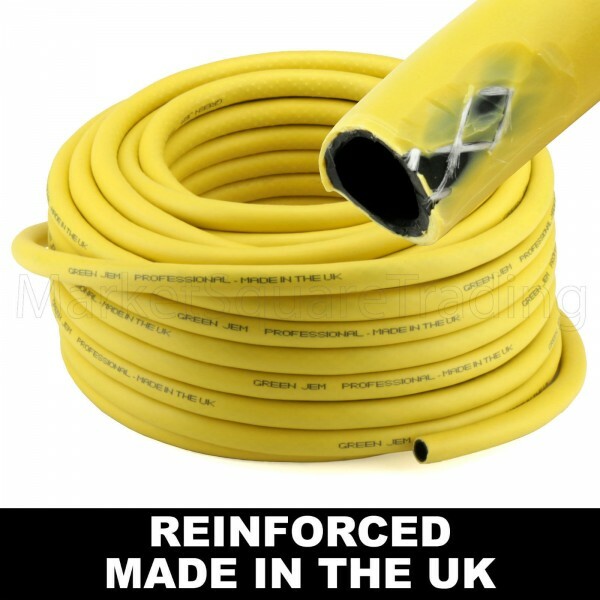 I myself have been using two of these hoses for the last five years and run hot water through them on a regular basis, they still have plenty of life in them and can see them going for many years to come. Please free to browse my shop for hose connections and sprays.